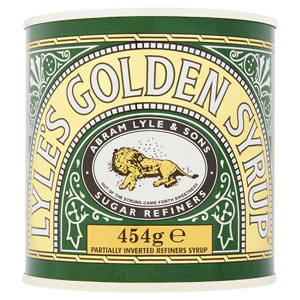 From the iconic metal tin through to the great sweet taste, there is never any mistaking Lyles Golden Syrup. This versatile British stalwart is ideal both as a spread and as an ingredient in a wide range of baking recipes and desserts. The syrup itself is thick and orangey, and is derived from a type of sugar syrup. Most popular with customers in France, Italy, Spain, Greece, United States of America (USA), Germany, Austria, Canada and Denmark, but you can buy Lyles Golden Syrup Large Size for delivery worldwide. 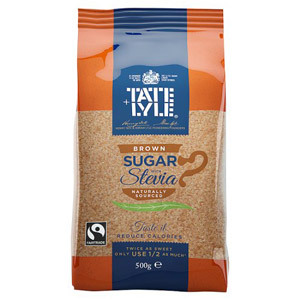 One of our Tate and Lyle branded products. Free From Artificial Colours, Free From Artificial Flavours, Free From Artificial Preservatives. After making do with substitutes various different types of honey, maple syrup and co. I finally found somewhere to order Lyle's Golden: baking just isn't the same without it! And then, of course, for sweettoothed folk such as myself, it's an essential for toast, sandwiches, pancakes or, simply, licking of a spoon! This is by far the best quality syrup for baking or spreading on warm bread or pancakes. It is also really delicious when added to some cereal dishes or even drizzled over yogurt or ice cream. I have yet to find any other brand which compares to Lyles so it is great to see it available on British Corner Shop. While I was looking for a substitute for our beloved Canadian Pure Maple Syrup in Italy, I found this unknown product here at British Corner Shop. I needed a large quantity quickly for Christmas, so I ordered 2 large tins. My American tastebuds were very happy to find a good syrup substitute for our pancakes. Thanks to this wonderful syrup our Christmas holiday was sweet ! It is now a staple in my cupboard! I used to ask friends and family to bring them over from Britain for me, I am grateful that you have now made it possible for me to order it for myself. I grew up with this syrup - it was a must on pancakes on Shrove Tuesday. I still use it on pancakes but discovered deep fried battered bananas are divine when this syrup is drizzled on top. Timeless, always consistently delicious. This is another staple in my store cupboard. Whether it is to add to a bowl of porridge in winter, make a syrup tart or use as a high energy sandwich filing for hungry young mouths this is definitely one of my all time favourite products. 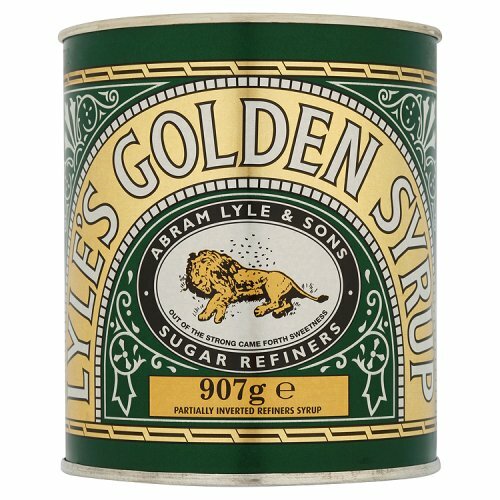 This Golden syrup is a brilliantly thick and colourful Syrup presented nicely in the classic tin. I love to use this Syrup when baking my favourite treat. Flapjacks. No other Syrup comes close to the taste and consistency that this Lyles product delivers. It also goes beautifully as part of the recipe for Toffee apples. 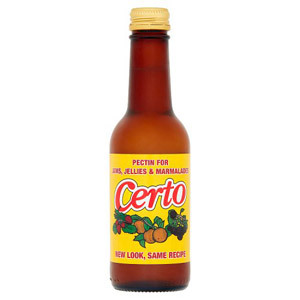 It is a product that you need to have in your cupboard all year round. If you haven't got one of these on a shelf somewhere in your kitchen, then your kitchen is seriously deficient in both content and style. Content because it's so versatile, and style because, well, it just looks so good, doesn't it? What a tin, what a design, what a taste. Golden Syrup on hot buttered homemade bread carries me back to my wartime childhood. 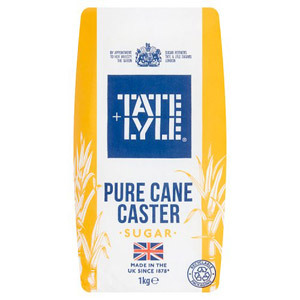 Now to be able easily to obtain it, courtesy of BCS, delivered to France makes me very happy.The delectable sweetness , combined with the melting butter is simply scrumptious. There is more: with this syrup, arguably one of their most famous products, a steamed syrup pudding with Bird's custard is once again a practical proposition. How can one get nearer to heaven? 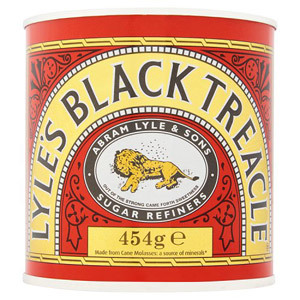 Would you like to write a review for Lyles Golden Syrup Large Size?